Had compensation in the case of Bhopal disaster been paid at the same rate that asbestosis victims where being awarded in US courts by defendant including Union Carbide Corporation (UCC) – which mined asbestos from 1963 to 1985 – the liability would have been greater than the $10 billion the company was worth and insured for in 1984. In 2002, Dow Chemicals set aside $2.2 billion to cover potential liabilities arising from Union Carbide's American asbestos production. 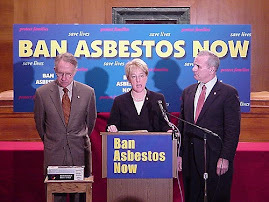 In 2004, Johns-Manville Corp, Asbestos producing company paid $500 million to people affected by asbestosis, a lung disease. 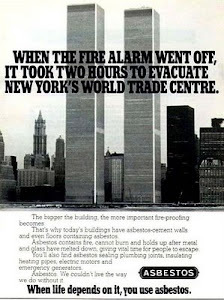 In the fall of 2001, steel from the ruins of the World Trade Center was exported to India apparently without first being tested for contamination from asbestos and heavy metals present in the twin tower debris. Mining, production and use of asbestos in India is very loosely regulated despite the health hazards. Reports have shown morbidity and mortality from asbestos related disease will continue in India without enforcement of a ban or significantly tighter controls. MONTREAL — For eight months, the Quebec government has been holding on to a report that explores the link between asbestos-related cancer and Canada's only community that still mines the substance. The study is believed to be the first Canadian research to look at asbestos-related cancer in a specific region, examining the risk of disease in and around Thetford Mines, Que. Quebec's public health institute delivered the completed report to regional officials and the provincial Health Department in March. But the study, and its potentially alarming conclusions, still hasn't been made public. Officials say that will finally happen this month. "It's very unusual," said a source affiliated with the public health institute who is aware of the report, but did not co-author it. "The time it's taking now is a little abnormal." The mining of asbestos is an intensely sensitive issue in Quebec, where it provides around 400 jobs at the province's one remaining mine. The industry fiercely defends Quebec asbestos - also called chrysotile - and deems the product perfectly safe as long as precautions are followed. The material, recognized for its heat-and fire-resistant qualities, was widely used in Canada and around the world between the 1950s and the '70s, often as insulation. Several countries, especially poorer ones, still import asbestos from Canada despite numerous studies linking it to health hazards, including cancer. Cases of such illness appear to be on the rise. Mesothelioma, a lethal cancer linked to asbestos in over 80 per cent of cases, killed 32 per cent more Canadians in 2005 than in 2000, according to the most recent national figures available from Statistics Canada. Dozens of Canadian health experts signed a letter Wednesday to federal Health Minister Leona Aglukkaq, demanding that she tighten the country's asbestos exposure limits for workers, which they say are 10 times higher than any Western country. Since it takes 25 to 40 years after exposure for many asbestos-related diseases to surface, experts predict the death toll will continue rising for years as Canada experiences the lingering effects of its asbestos boom. They say the situation will likely be far worse in developing countries that still heavily use Canadian exports. Despite asbestos bans in many Western countries and the fact that Canadians spend millions each year to safely remove the substance from buildings - including Parliament Hill - Canada remains a world leader in asbestos exports. For decades, the children of Thetford Mines used to scale the local tailings piles, many of which are as tall as a house. In winter, locals would toboggan down the dirt mounds with their kids, who affectionately referred to them as "The Asbestos Dumps." "People are being exposed to measurable levels - we're talking about non-workers here, children and people playing in those tailings," the source said. "What is the level of the risk? I have no idea. . . They've been exposed for decades." The study was commissioned by regional health authorities in November 2007 following the release of conflicting reports on the threat of asbestos fibres present in the Thetford Mines environment. After the studies were released, Philippe Lessard, the public health director responsible for Thetford Mines, promised an "in-depth analysis" before making any declarations to the public about the risk of asbestos exposure in the community. 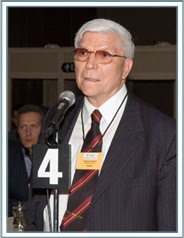 In a November 2007 statement, Lessard's Chaudiere-Appalaches public health authority said he would inform citizens as soon as he was up to speed on the results of the study. When asked whether it's normal for health authorities to hang on to a report for so long, a spokesman for the agency replied that this isn't a typical study. "This type of report is not ordered every day, either, so the norm is difficult to establish," said Pierre-Luc Levesque. He said the Chaudiere-Appalaches agency will make the report public by Dec. 15. By that time, the provincial legislature will have stopped for its winter holidays and Premier Jean Charest will be in Europe for the climate-change summit in Copenhagen and a side trip Russia. Levesque declined to share any of the report's findings. When asked, he wouldn't say if the results show that locals are currently at risk. "We will give this type of information to the population during the beginning of December," he said. A spokeswoman for Quebec's public health institute says the reviewing process usually takes 60 days, but can take up to eight months under provincial law before the results must be released. She stresses that the provincial authority fulfilled its responsibilities by delivering the report to the local agency in the spring. Now it's up to the Chaudiere-Appalaches agency to release it, she says. "It shouldn't be long because it should already be out there," said Nathalie Hudon, adding that the release date was recently extended from Nov. 15. The provincial government, the Bloc Quebecois and the federal Conservatives all support the asbestos industry's claims that the product can be used safely. The riding that surrounds Thetford Mines is represented by federal Public Works Minister Christian Paradis. In 2008, Canada's $100-million asbestos industry exported 175,000 tonnes of chrysotile - almost all of it to developing nations. Many of Canada's biggest customers are in the developing world, including India, Indonesia and Bangladesh, where industry critics say few - if any - safety precautions are taken. Since some asbestos-related diseases take 25 to 40 years to emerge, health experts predict major health ramifications in these countries over the coming decades. 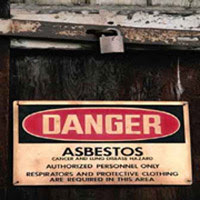 In Canada, asbestos-related diseases are the No. 1 workplace killer, striking not only retired miners, but former ship builders and constructions workers. Across Canada, the number of reported new cases annually of the deadly asbestos-related cancer known as mesothelioma shot up 67 per cent over a decade and a half - from 276 to 461 - according to the most recent federal figures. The Times of India says, "Our executive and judiciary have badly let down the victims of the Bhopal gas tragedy, the worlds worst industrial disaster. The meagre compensation paid, that too badly delayed, and the fact that not one individual has been punished despite clear evidence of shocking negligence make that clear. But merely beating our breasts about it wont do. If we are to redeem ourselves in the eyes of the world and of our own people and prove that human life and safety is not cheap in this country, two things must be done. 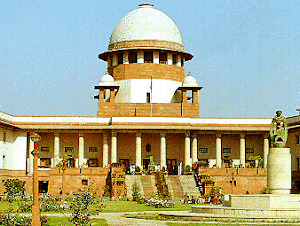 The criminal cases meandering along for 25 years must be vigorously pursued and the guilty brought to book. As for the victims claim for more compensation, the shameful settlement with Union Carbide can perhaps no longer be reopened. But the government, which negotiated that deal, must make good the loss to victims resulting from its gross underestimation of their numbers initially. Or else, India will appear a banana republic." MTBE (2008): Chevron, BP and 10 other oil companies paid $423 million to water suppliers in US for contaminating groundwater with chemical methyl tertiary butyl ether (MTBE). MTBE is a member of a group of chemicals commonly known as fuel oxygenates. Oxygenates are added to fuel to increase its oxygen content.